The State Information Technology Agency (SITA) is committed to becoming a world-class provider of the core network, hosting and data infrastructure services, as a strategic service to the government. And it has taken another step forward in delivering on this commitment. Today, SITA celebrated the finale of many years of work, at the launch of the largest government cloud infrastructure in the world – owned by the government of South Africa and run and managed by SITA. The celebration took place with implementing partners Gijima, Huawei and IBM. Government’s private cloud, defined as “an ecosystem of different clouds”, is for exclusive access by government departments. Welcoming the crowd at a launch function held today, 23 November 2018, Mr. Ryan Horgath, global keynote speaker on Business Change & Digital Transformation, stressed that the importance of the launch was not about the technology itself, but rather about its impact on people. “This event is enormously significant because it’s not just about having a cloud for government - don’t get lost in the details - the thing is this will improve the lives of people,” said Horgath. Cloud computing is widely acknowledged as the key to driving South Africa’s journey through the fourth industrial revolution, which is marked by the profound integration of technology into society. The cloud enables capabilities in artificial intelligence, big data analytics, the internet of things and robotics – all with numerous benefits for public service. “With this project, SITA has reclaimed its role as the leader in the innovation of public service delivery using ICT,” said Robert Gumede, Chairman of Gijima, the delivering agency. Gumede said he welcomed a recharged and revitalized SITA taking its rightful place in leading the sector. “This centralization will deliver immediate opportunities for coordination and streamlining,” said Dr. Mohapi, mentioning that it could allow for improved disaster recovery and management. The panel offered up a wide range of applications that could be immediately applied by cloud-ready departments. The panel continued to stress that the importance of this launch was the impact that the availability of a government cloud would have on the lives of citizens, and the way in which it would assist South Africa to deliver on its National Development Plan. This cloud platform – in conjunction with new data centers and broadband – is a key tool for the government’s trajectory from planning to meaningful implementation. The panel said that the decision to move to the cloud would fix many existing infrastructure challenges, including addressing the cost and inefficiency of multiple stand-alone data centers, client-specific server infrastructure, upfront capacity expenditure to cater for peaks and growth, and keeping up with the proliferation of technologies. It also offers opportunities for youth, employment, and economic development. Continuing the theme, Ms. Stella Ndabeni-Abrahams, newly sworn-in Minister of Communications, continued the evening’s emphasis on technology in service to humanity – welcoming the improvement it could bring to the everyday lives of South Africa’s citizens, and cautioning against technology for technology’s sake. She welcomed the contribution the cloud will make to creating economic freedom and transformation for all South Africa’s population. 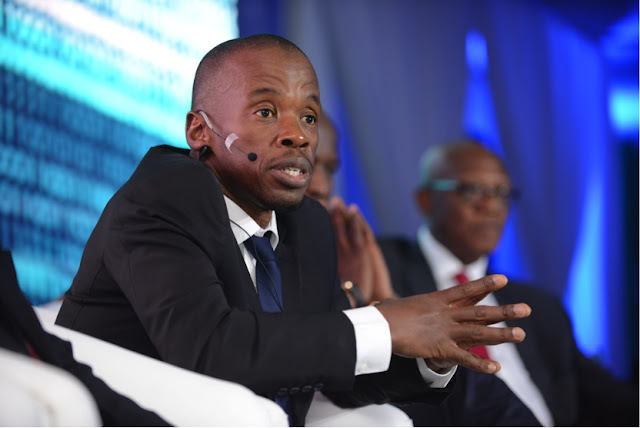 To realize its ambitious goal, SITA, Gijima and implementing partners IBM and Huawei embarked on an infrastructure modernization project to re-engineer SITA’s digital environment into modern state-of-the-art facilities. SITA began the building of its government private cloud ecosystem in 2014 and has already capacitated in-house cloud sites in KwaZulu-Natal, the Free State, the Western Cape, and Gauteng. As more government departments start using the new cloud platform, it is expected that staff and citizens will see a tangible improvement in government service delivery, capability, and service, built on a foundation of modern infrastructure and toolsets, and agile systems. The SITA-government cloud journey will also translate into increased security, productivity, efficiency and service delivery, as well as high availability (across devices and at any time).